Everything you need to know about the Lotto, Ireland's favourite lottery since 1988. Learn the history of lotteries in Ireland, get a full lowdown on the most popular numbers, plus other statistics. Learn about the game's odds, and about the man who famously figured out how to beat them! Learn how you, too, can help turn the odds in your favour with detailed tips on how to play and win! It's as Irish as Saint Patrick's Day, Taytos and re-gifting that tin of butter cookies you got from your Aunt last Christmas. It's as old as the worldwide web, the acid house rave scene, superstar DJ Skrillex, footballer Eddie Nolan and UFC champion Conor McGregor. It's one of Lottoland's most popular lottery games both here and abroad, and this article contains all the information you will ever need to know about it. Get a detailed account of Irish lottery history from the dodgy days of the old Irish Sweepstakes and their sad decline to the subsequent formation of Ireland's first National Lottery in the 80s. We also look at the early days of the Lotto, the time it was "hacked" by a shrewd maths wizard and the time it was the basis of a hilarious movie. We also recall Winning Streak, one of the longest-running game shows on the planet, and finish with a look at the more recent changes that have taken place in Irish lotteries over the past couple of years. Ever wonder what the most popular Irish Lotto numbers are? Well we've compiled them all together for you – in fact we've done quite a lot of number crunching, so get ready to see just how deep this rabbit hole goes! We'll show you the easiest way to find the latest winning numbers, what the most and least popular numbers are from the first draw to present. The number-structure changes that have been made over those years and, of course, advise on picking winning numbers yourself. Detailed information on Irish Lotto odds and statistics. We look at how the odds have changed over the years as the game was continuously revised and also see how the current game's odds compare with other lotteries. For those of you unhappy with last year's changes we also show you what games at Lottoland have the same jackpot odds as the old Irish Lotto. Of course you can use this article to learn how to play the Lotto, but there's far more to learn than just that. We look at the rules, the bonus features and prize tiers. More importantly, though, we also focus on real, genuine ways you can use to improve your chances of winning big. So, you know the story, you know the odds and how the numbers add up, you know how to play it and you even have some hints on how to win. So, what next? Only one thing left to know – tonight's jackpot value. 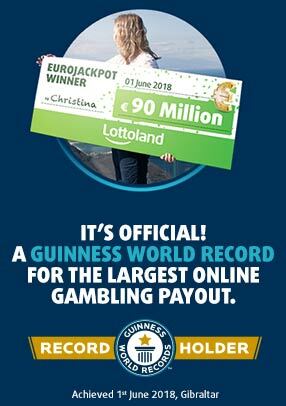 A grand total of €10 million there for the taking. 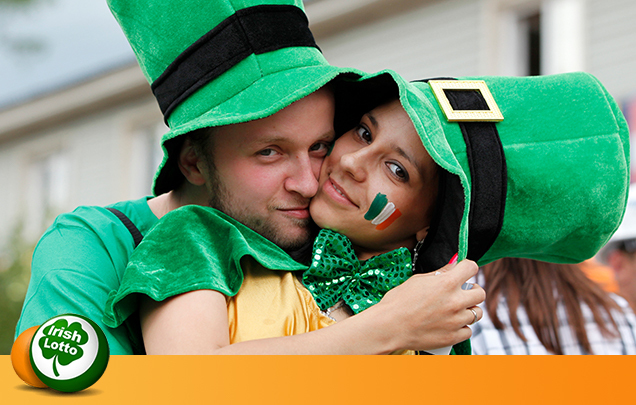 And there's only one way to guarantee you're in with a chance of winning it – play the Irish lotto now!